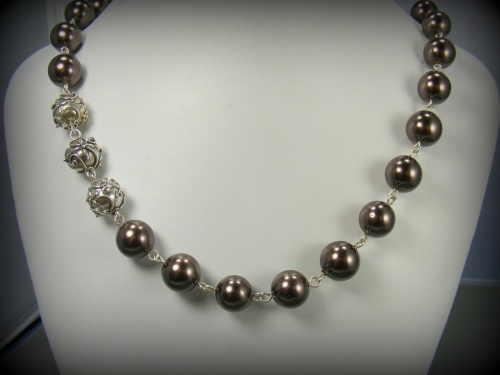 Elegance and style, thats what you get when you wear this piece. 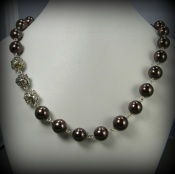 Beautiful chocolate shell pearls embelished with 3 beautiful bali sterling silver beads. Piece has a hook clasp and comes with a complimentary pair of matching earrings. Measures 19".